1.Fixed 'Home' and 'Back' buttons. 2.Added exit by pressing 'Back' to the main screen. 3.Fixed disappearance of the letters on some devices after returning to the game. Fantastic helicopter simulator game... superb through. Recommended to be installed and played on high end devices!!! Overview: Luma is a colorful, interactive live wallpaper featuring beautiful combinations of drifting shapes and colors. Luma comes with a set of designer themes that are made to match a range of homescreen themes and styles. Transform your screen into a beautiful mosaic of moving shapes and color. You can further customize the look of Luma with an easy selection of options. Create or generate your own color scheme, change the types of shapes, and even the way they move across your screen. Brush your fingers across the screen to scatter shapes away, or change the way the wallpaper interacts with your touch. Watch the video below to see how Luma can make your phone into an animated work of art. v2.0.4 - Happy Valentine's Day! Play the first 3d tennis game for Android! 2 ways to play this Tennis Game, Auto-Run or Tap to Run! Career Mode, become the next SuperStar! Automatically saves Career matches & tournaments in progress. Pro [or Advanced] level players can use the replay challenge system! Hit lobs, slice, topspin, Flat, drop volleys, with EASE! Focus on the match, not on controls! The game runs at a smooth 60 frames per second on most devices. Top notch tennis game... recommended!!! Install the apk and copy the data of the game to the root of your SD. No need to use Titanium and no need to have a rooted phone!!! After a very long discussion, the game works as it should working on all adreno gpu devices. For the rest of you guys, use Chainfire 3D. A lot of people reported that the game works well with Chainfire 3D v1.8! - Put sd card data folder called SF_IV_DATA and the apk on your sd card. - Put Titanium Backup files into Titanium Backup folder on your sd card. - Open Tinanium Backup and restore Street Fighter files (apk+data). - Go to /data/data/jp.co.capcom.android.sf4hd with Root Explorer (or any other similar app). - Copy the folder called "files" on /data/data/jp.co.capcom.android.sf4hd to you sd card. - Uninstall the game & data from your phone (normally, in Parameters>Apps>...) . - Reinstall the game with the apk that best suits your screen size. - Hell wave: Survive as long as in getting stronger zombie wave. 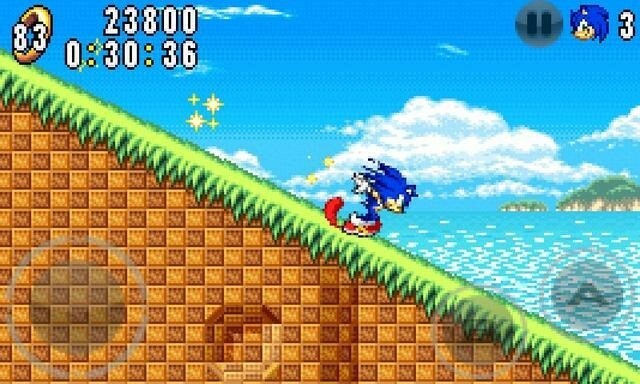 Overview: Android has appeared in Sonic Advance! Now his participation in the Tales, Knuckles, and Amy! Case blocking the ambitions of Eggman looking for a hidden Chaos Emeralds! Overview: Wow…Our Roundy Series add a new buddy - Funny Bounce! With awesome fair-sounding music as well as living background pictures, you should not miss this addictive game. Jump up from extensive sunshine weald, take the rainbow’s beauty and blast off along the city of cloud, go across the bright starry sky, then to the vast space. What a fantastic challenge! Are you ready to begin this epic bounce journey? Let’s go! Two game modes are designed in this game: bounce platform mode and silver coin mode. Tilt the screen left and right to guide Roundy jump higher. Be careful, some special bounce platforms will hinder you on your way. Watch out! The dangerous enemies will kill you too. Appropriatly fire fluffy bullets by tapping the screen to shoot them down. The silver coin can give you ascending power. So take efforts to get it and bounce higher! Who can be the NO.1? The champion honor is waiting for you! Train Crisis's full version will be updated shortly with 2 new eras and many more levels available. Overview: A mass of blocks flips and fades across your home screen! Swipe the screen and watch as the mass changes direction and more blocks fade in! + Save the themes you create to easily swap them in and out later! + Use the Randomize feature to create an infinite number of new themes! If you like to change settings a lot, be sure to add the Exodus Pro settings widget to your home screen (Home > Menu > Add > Widgets > Exodus Pro). Overview: This program will modify your Android phone/tablet's LCD density in order to show more things on the screen. A lower DPI value means smaller text/icons, and more screen real estate! Gives the effect of having a higher lcd resolution. This program will modify your Android phone/tablet's LCD density in order to show more things on the screen. A lower DPI value means smaller text/icons, and more screen real estate! Gives the effect of having a higher lcd resolution. Works on Galaxy Nexus and Android 4.0 ICS! Some devices support the ability to temp change dpi values. This value is temp changed, and the system is fast rebooted. On the next full reboot, the dpi will be reverted back to original. Great for testing out dpi settings before saving it to the system. Note that this feature most likely won't work on phones with Android 4.0 ICS. LCD Density can be set anywhere from 1-999 through the use of modifying the min and max DPI in the settings. Warning! Changing DPI values may cause some apps to crash or display incorrectly. Also, if you set a dpi that is incompatible with the device or OS, then it may fail to boot, and you will have. I recommend doing a full backup of your system before using this program if you are new to changing your dpi. If your phone fails to boot, you cant restore the build.prop file using adb from recovery mode. I am not responsible for any damage done to your device. Use at your own risk! Download and install a permanent market compatibility fix! Updates to market fix will come with app updates. Overview: Enhanced Email is a fully featured but lightweight fast E-Mail client offering support for multiple Exchange/POP/IMAP accounts all in one single app. It integrates with your existing native Contacts & Calendar apps rather than tacking on bloatware. Enhanced Email is HALF the price of the competition! You'll quickly see this is the e-mail application that can replace ALL others on your phone. Enhanced Email is quickly becoming the app for blackberry users moving to Android or corporate users wanting a faster email solution. Ability to sync sub-folders for IMAP accounts! Play, manage and sync music from your Mac or PC to your Android device -- Pro Bundle Now Available!. Winamp for Android offers a complete music management solution (2.1 OS & above) featuring wireless desktop sync (latest Winamp Media Player required), iTunes library import, & access to thousands of internet radio stations with SHOUTcast. Visit http://www.winamp.com/android to learn more. Is an normal android application that will run when you press your android phone's HOME key. It's usually what people know as the "android desktop". -Hundreds of themes to enjoy! -Screens editor to add,remove and swap your desktop screens. -Customizable main dock with support for fixed shortcuts from 0 to 5. -Customizable hidden dockbar easy to trigger with support for unlimited icons with scroll. Just swipe up your finger over the main dock to reveal the hidden one, swipe down to return to the main one! -Lots of settings to play with: colours, animations, sizes... you should dig in! -Different desktop transitions: new animations while navigating through your desktop screens. Try them all, they're crazy!!! -New Icons configurations/look and feel: Tweak your desktop icons, change its sizes, add coloured backgrounds, change font size, color, etc! -New fast presets mode: Quickly change the whole desktop configuration by 1 click! -Editable desktop icons for applications, shortcuts and folders! Option to completely disable the dock. When you trigger the "hide/show dockbar" action/gesture, the new status will be remembered until you show/hide it again. Don't like the dock? Hide it! Option to use the dock as overlay: this means your desktop will be full size and the dock will appear over it when you show it. Overview: Need to download videos ? Missing the "download" option ? Video Catcher is the way to go ! Need to download videos ? Missing the "download" option ? Video Catcher is the way to go ! Your Android browser won't let you download videos but offers instead to play them with whatever installed for. With Video Catcher, take the control back ! Video Catcher can handle videos links and lets you download them with a simple click by hooking into the "Open with..." menu. If you can play them, you can download them ! This is like a plugin to your browser : just click on a video link, and when the "Action" menu appears, select "Video Catcher" as handler : the download will be transfered to your phone's download manager. Please note that the downloading and viewing of video protected by copyright is prohibited and is regulated by the laws of the country where you are. We assumes no responsibility for the misuse of Video Catcher. ● How can I download a video from the browser ? In the browser simply click on the video link that you wish to download. From the Action menu, select Video Catcher, and the download should start automatically. You should be able to see the download progress in the notification bar (at the top of the screen). ● Can I download YouTube ? No. Downloading YouTube is not permitted by its terms of service. ● Where are stored my downloads ? Downloads are automatically added to your Gallery and are stored into your "Download" directory (generally /mnt/sdcard/Download), please use the built-in file manager to access them. Moreover, for Gingerbread (2.3) and above, downloads appears in your phone's download manager too. Overview: EBookDroid is an open source (GPL'ed) document viewer for Android based on the VuDroid code base. Option "Render page in document resolution" only for Android 3.0+ with lot of RAM. -Some native code changes for PDF display. -Some MuPDF errors handling added.